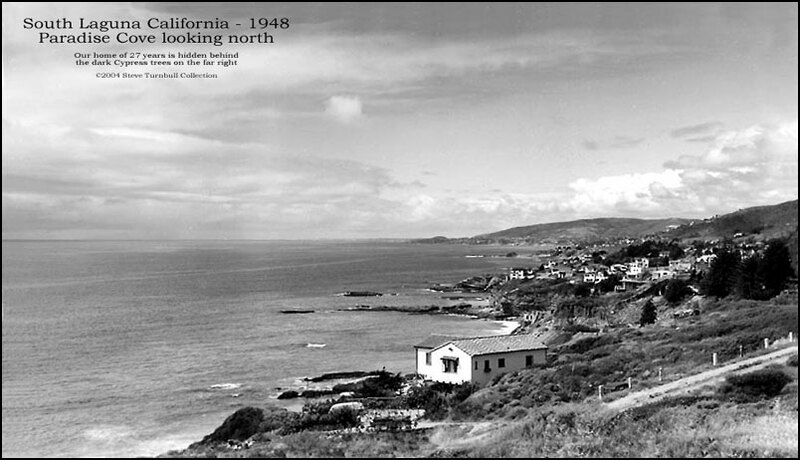 South Laguna California - 1948. View from Paradise Cove looking north toward Laguna Beach. My lovely wife Karen and I had the great fortune of living here at Paradise Cove for 27 years. We lived in a small wooden cottage hidden by the Cypress trees seen on the right, and for a few years moved into an even smaller cottage right on the cliff edge (seen below),before moving back into our lovely little original home. 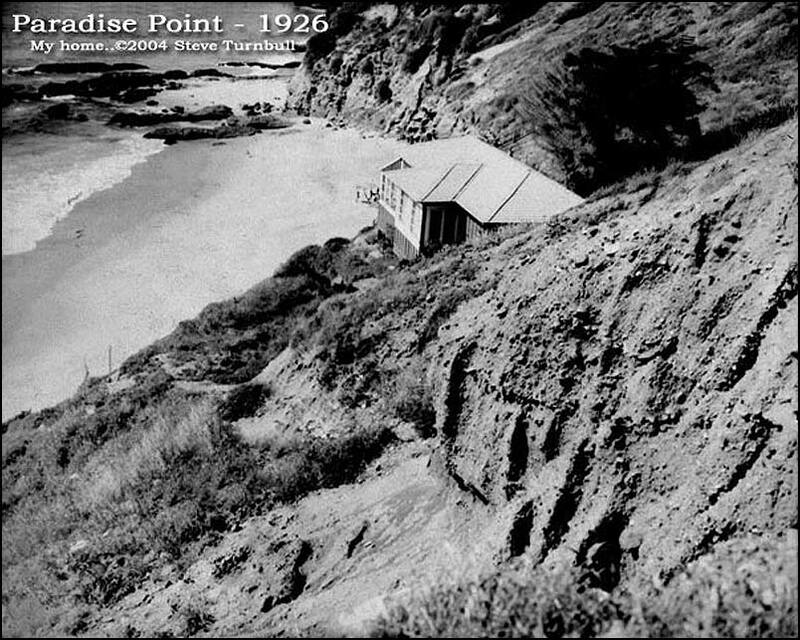 In 1994, I moved my growing family to a larger home one beach south in Three Arch Bay, but I will always remember the idyllic beach cottage days at Paradise Cove. Now, occasionally I walk down to watch the wave and remember the wonderful years of youth, while the surfers look at me like I'm some old inland geek crashing into their "territory". If they only knew what they will never know.